Sliders are great for highlighting your best content, publicising important news, and showing off cool photographs and videos. Online shops also use them to promote special offers and important products. Over the last few years, I have noticed that sliders have become an integral part of many free and premium WordPress themes. These themes allow you to highlight key content on your home page. Do not worry if your theme does not have an option to display a slider as there are many plugin solutions available that let you insert a slider directly into your website. These plugins can be used to insert a slider into your website design or your content area. 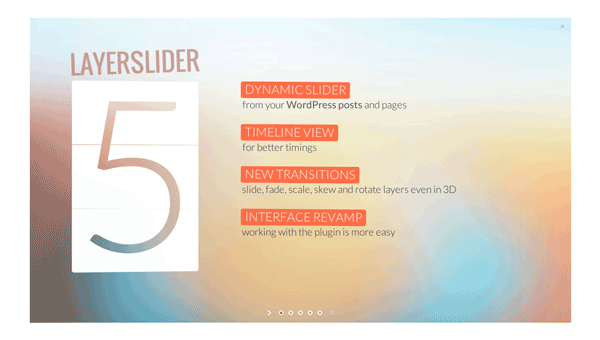 In today’s article, I would like to show you the best free and premium slider plugins that are available for WordPress. I hope you enjoy the list. 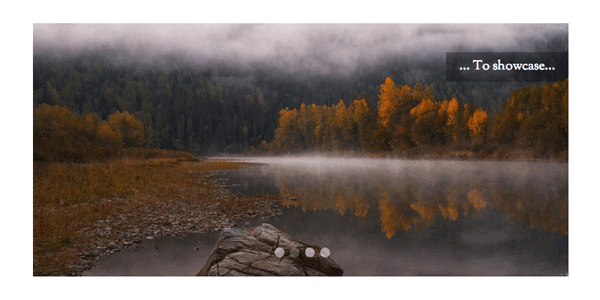 Len Slider is a slider plugin that uses jQuery and CSS3 effects for animations. It can be used to develop carousels or slideshows. Many different skins can be selected too. With the plugin only adding one query to your website, Len Slider is one of the most efficient slider plugins available. Len Slider is a simple slider solution that allows an unlimited number of sliders. Soliloquy is a responsive slider plugin that lets you create beautiful sliders in just a few minutes. It allows meta information to be added to images to improve search engine optimization and supports swiping for touch enabled devices. The pro version of the plugin includes support for video playback. It also includes a range of add ons including Instagram integration, Pinterest integration, lightbox support, cropping, and thumbnails. Soliloquy is easy to use and the final output looks fantastic. Based upon the jQuery powered slideshow plugin Cycle2, Cyclone Slider 2 is a versatile slider that supports images, videos, testimonials, and HTML. Slides are responsive so look good on any device. It also supports random slides and comes with a widget to display sliders. Images can also be imported from NextGEN Gallery. 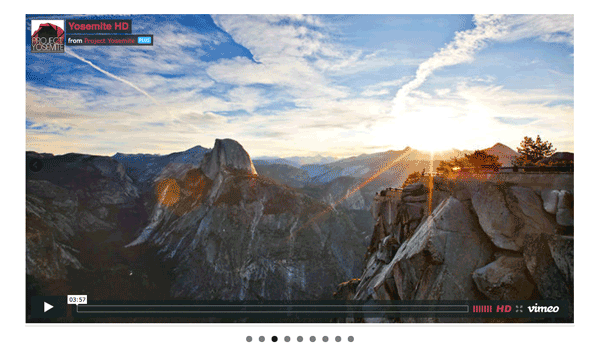 Cyclone Slider 2 is easy to use and supports videos and HTML. Smooth Slider is a useful WordPress plugin that lets you create slides for featured posts, pages, images, and custom post types. It has a responsive design and features six transition effects. Slides are optimized for search engines and for mobile users. 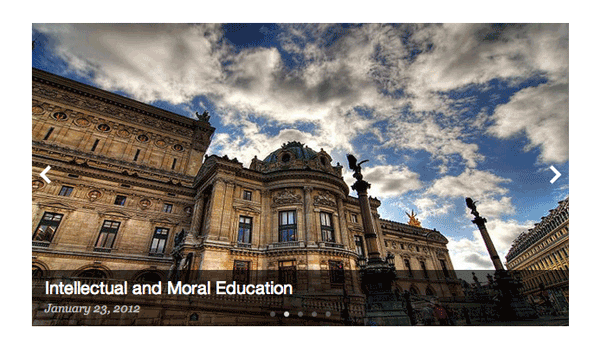 Recent posts and categories can be used to power slides and you can customize the background of each slide. Smooth Slider may not be as stylish as some other slider plugins, however it has a lot of great features. SlideDeck 2 is an interesting plugin that lets you create responsive slides from almost anything. The free version of the plugin allows you to pull content from your blog posts, YouTube, Flickr, and Pinterest. The premium version offers ten more content sources such as Google+ posts, Facebook, Instagram, and Vimeo. Unique styles can be applied to slides. Known as lenses, these styles allow you to change the look of slides in many unique ways. Three lenses are included with the free version, though more are available if you upgrade. 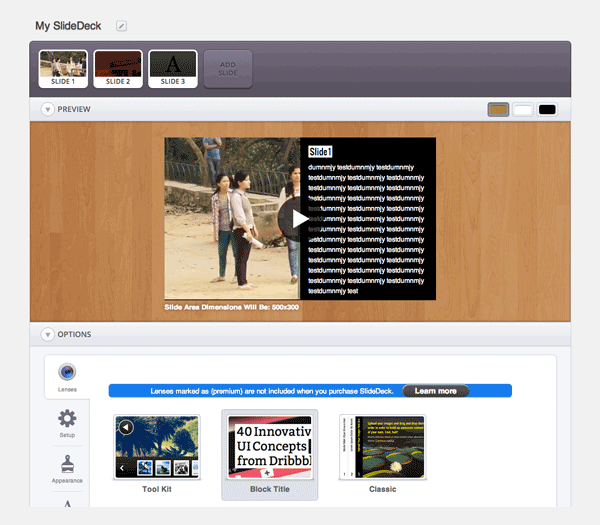 SlideDeck is highly configurable and very simple to use. Easing Slider is a lightweight responsive slider that only adds 16kb to your total page size. It features CSS3 transitions, preloading functionality to ensure your slider loads right away, and a visual editor for styling your slides. Images can be added to slides directly from your existing WordPress media library. Easing Slider Pro includes support for YouTube and Vimeo video playback. It also includes technical support. Easing Slider will help you create beautiful slides in minutes. 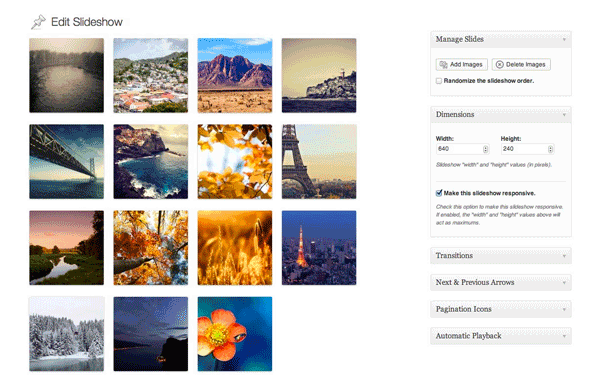 EasyRotator is a handy plugin that lets you add responsive photo rotators and sliders into your posts or pages. 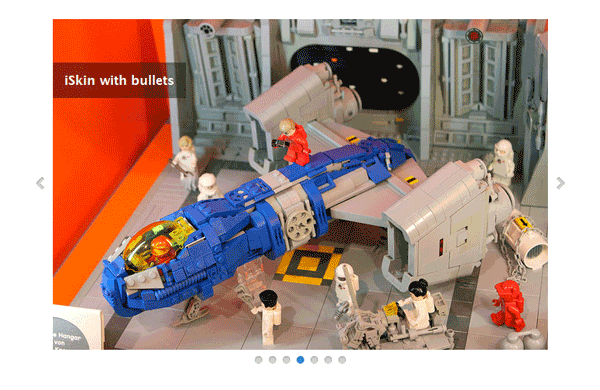 A widget is also available to let you add images directly into your website design. Slides can be created with recent posts or featured posts. Video and audio is also supported and mobile users can use touch to move through slides. Forty five templates are included with the plugin so you have a lot of flexibility over how slides are displayed. EasyRotator is also optimized for search engines. EasyRotator is a practical solution that has support for images, video, and audio. 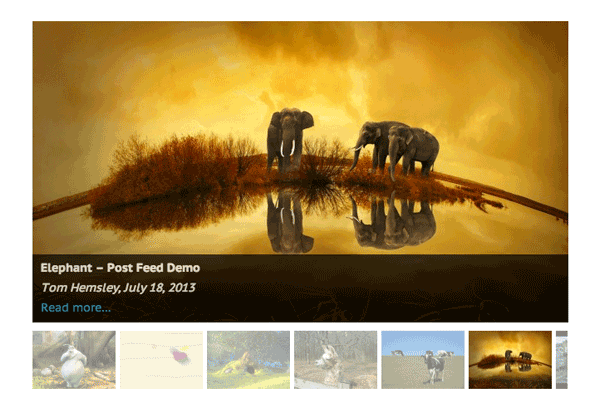 Meta Slider is a fast slideshow plugin that can pull images from your WordPress media library. It includes four types of slider: Flex Slider 2, Nivo Slider, Responsive Slides, and Coin Slider. Slides are optimized for search engines and can be inserted into widgets or into content with shortcodes. The pro version of the plugin features animated layer slides, post feed slides, video slides, HTML slides, and thumbnail navigation. 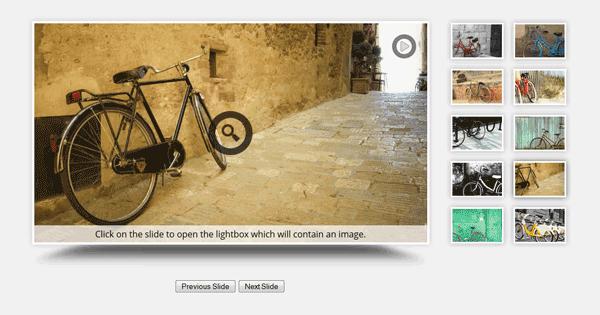 The free version of Meta Slider offers four different types of slides. 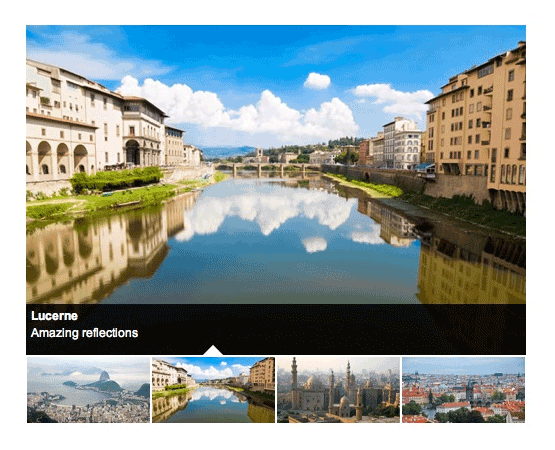 A basic slider solution that lets you add a responsive slider to your theme, post, or page. In comparison to other slider plugins, it does not offer many settings. The width and height of slides can be defined in the settings area. You can also choose the time delay between slides and the length of time for animations to execute. Responsive Slider is a simple slider that comes with two transition effects. WOW Slider has a peculiar set up. Rather than upload your slides directly, you need to download the WOW Slider application for Windows or Mac. You then create your slides on the application, save your slide as a zip file, and then upload that zip file to your website. 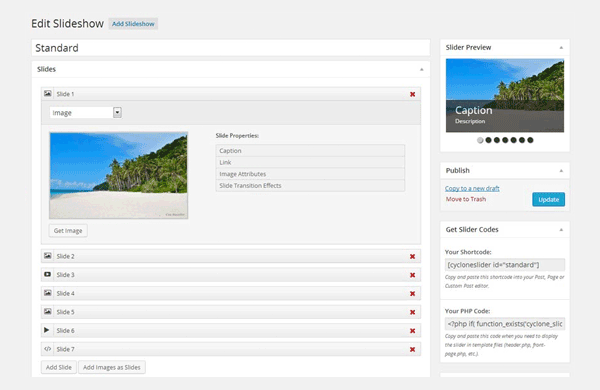 Next, you insert the slides you created into your post or page using a shortcode. The application features lots of templates and produces search engine friendly slides that are optimized for touch enabled mobile devices. It is a lightweight solution too with slides only adding between 4kb and 12kb to your total page size. WOW Slider has a huge number of slide templates available. Slider Revolution looks fantastic and boasts a huge amount of features and customization options. RoyalSlider can display slides from many different sources. LayerSlider offers a huge number of transition effects and customization options. Slides are responsive and touch enabled for swiping through content. It also includes fifteen different theme skins for styling your slides. Slider PRO offers includes over one hundred transition effects and allows multiple sliders on one page. TouchCarousel is optimized for mobile devices and features beautiful CSS3 transitions. Responsive Zoom In/Out Slider helps you create professionally styled slides in minutes.